The Fairmont Winnipeg is the citys premiere hotel and is the perfect location in Winnipeg whether travelling for business or leisure. Located in the heart of vibrant downtown Winnipeg on the corner of Portage and Main - just step outside our doors and the city is at your feet. 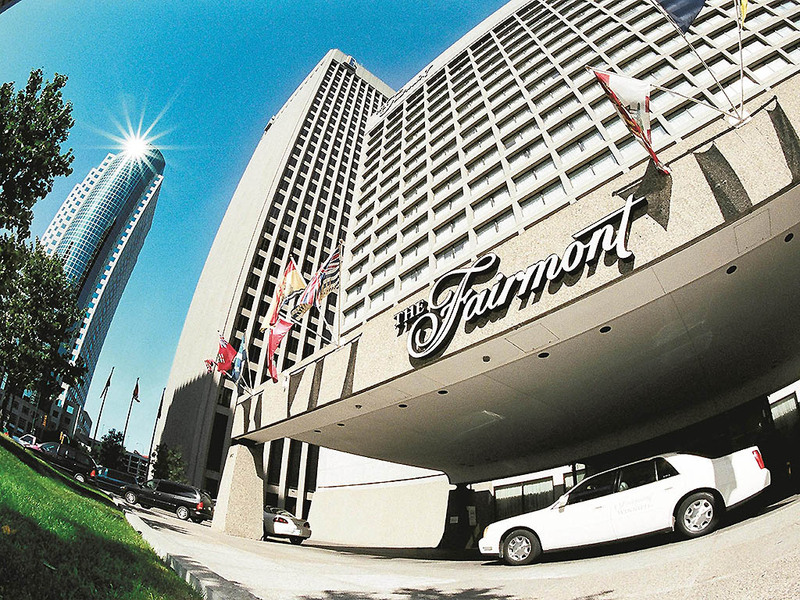 The Fairmont Winnipeg -Winnipegs address of Excellence is located at the corner of Portage Avenue and Main Street - we are connected underground to all main office buildings: shops and services in the citys downtown. Velvet Glove Restaurant offers contemporary Manitoban fare using fresh, locally sourced produce and ingredients. The restaurant also features one of Winnipeg's most celebrated wine lists. With seating for 16, we invite you to stop in for a personal handcrafted beverage and a fresh signature pastry. Warm and contemporary design touches set the stage for a warm, welcoming and relaxing visit.